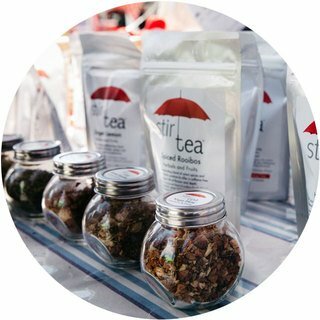 Stir Tea is a private label loose leaf tea range, curated and nurtured by self-confessed tea fanatic Michelle Casson. We are based in Queenstown and have been part of the New Zealand tea scene since May 2008. We source and import tea from the best quality tea growing regions of the world. Michelle personally selects the teas to ensure only tea of the highest standard is offered as part our range. 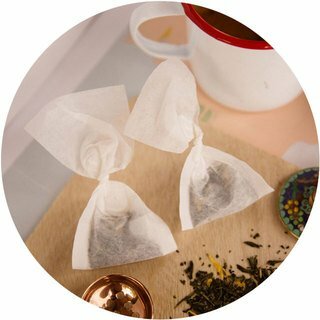 Each packet of tea is lovingly hand packaged here in Queenstown at our registered food premise. 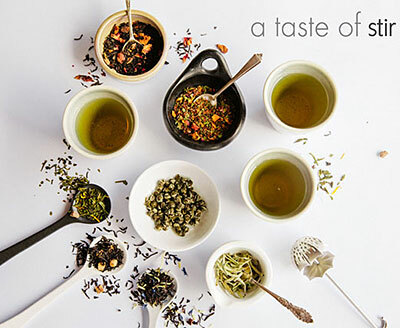 Our intention is to add positive moments to your day by offering a selection of high quality loose leaf tea, caffeine free herbal and fruit blends along with great service. We understand that a great cup of tea matters and care greatly about your tea experience – here is the type of feedback our customers give us. Michelle was raised in a home where the drink of choice at every occasion was tea – a result of English and Irish heritage. The rhythm and the pace of the day in her family was determined by the tea pot and tea rituals were deeply rooted into her character. The seed of an idea for Stir was planted very early. Michelle remembers the very moment that the vision for Stir Tea came to her. It was the opening day of Ski season 2005 while running through the Queenstown gardens training for the New York marathon that she decided to pursue a new career in tea. She feels tea found her. 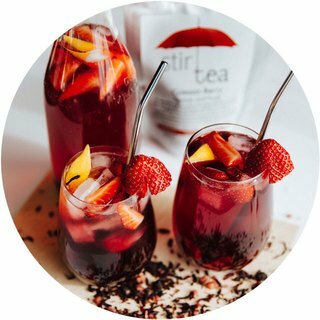 Her vision for Stir was to create a high quality tea range that celebrates the beauty, the excitement and the rituals of tea. It was born out of immense respect for the craft of tea. So after a 25 year career in chartered accountancy she decided to change lanes and go back to school – specifically Tea School. 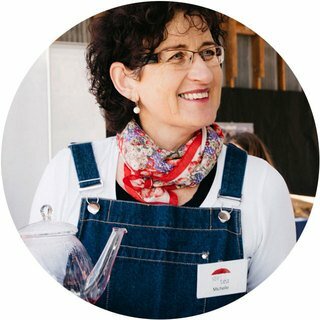 She has studied the technical elements of tea extensively with the Specialty Tea Institute of America for a number of years. Michelle remains humbled by how much more there is to learn about tea – the second most consumed beverage in the world. 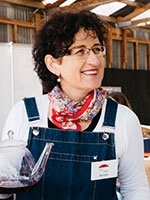 Her energetic quest for knowledge is an ongoing journey in which she honours the traditions and craft of tea while still continuing to seek out new and exciting blends. A 2017 trip to Japan visiting tea gardens lead to the addition of matcha green tea into the range. Michelle is supported by a long standing and enthusiastic team committed to ensuring you enjoy a great Stir Tea experience. Read what customers say. 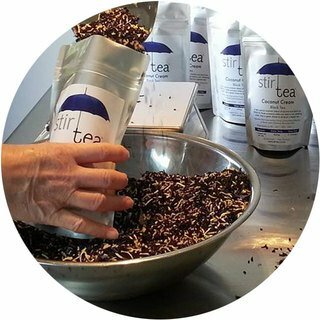 Stir Tea “a brand that wants to give you that feeling of magic with every cup". Jane Guy Queenstown Life blogger, read her full Stir article here. Stir … to rouse from a sleep. There are many steps along the journey of the tea leaf that result in the final cup that you enjoy. We took our inspiration for the Stir Tea brand from that moment when you pour the water across the leaf to make your cup of tea. The highly skilled tea master has put the leaves to sleep as part of their craft, you are awakening the leaves, rousing them from their sleep so they can release their goodness and flavour in your cup. Stir … to make active. We also appreciate the rejuvenating effect a great cup of tea can have on you, quenching your thirst but also stimulating you into action. Read more the Stir Tea umbrellas and their connection to tea here.